Two kind people contacted me today to return my purse to me. The woman I met today, her father, and her sister were out for a walk late yesterday and saw my bag tossed aside. They gathered my things and used the information they found to contact me. Thank you, Elyse and Frank, and the other lady I didn’t get to meet! You are what’s right with the world! 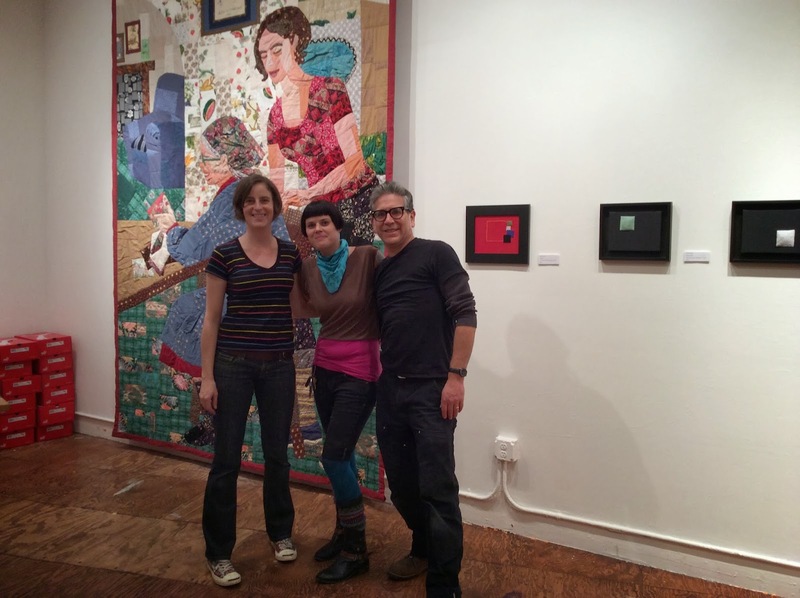 Last night’s ‘Amber Avalos and Amy Cools: Textile Works’ gallery show reception, January 10th, 7 – 10pm, was a memorable evening! The enthusiasm and the outpouring of love and support from friends, family, and textile arts enthusiasts made our hearts overflow. My thanks to all of you who came out, and I hope you all had as wonderful a time as Amber and I had! There are other great pictures of the guests, the many kids in attendance frolicking in the large space, and the art taken by friends and visitors. I’ll post more as they become available. For those of you who couldn’t make it, the show is still up through January 25th, 2014. SoleSpace is open Tuesdays from 12-5:30pm, and Wednesdays – Saturdays 12pm – 7pm. 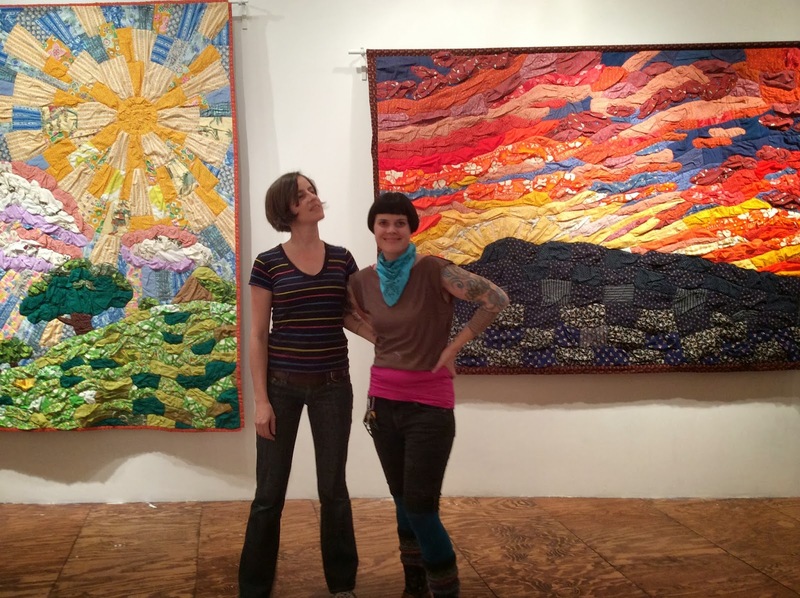 Textile Works by Amber Avalos and Amy Cools: Gallery Show Up! Amber and I hung the show today! And we’re so excited! Well, mostly Amber and the incomparable Vincent Avalos did: how lucky are we to have the head guy of installations at the Asian Art Museum volunteer his time to help us display everything just so?!? I can’t thank Vincent enough. make next Friday, come see us tomorrow night! 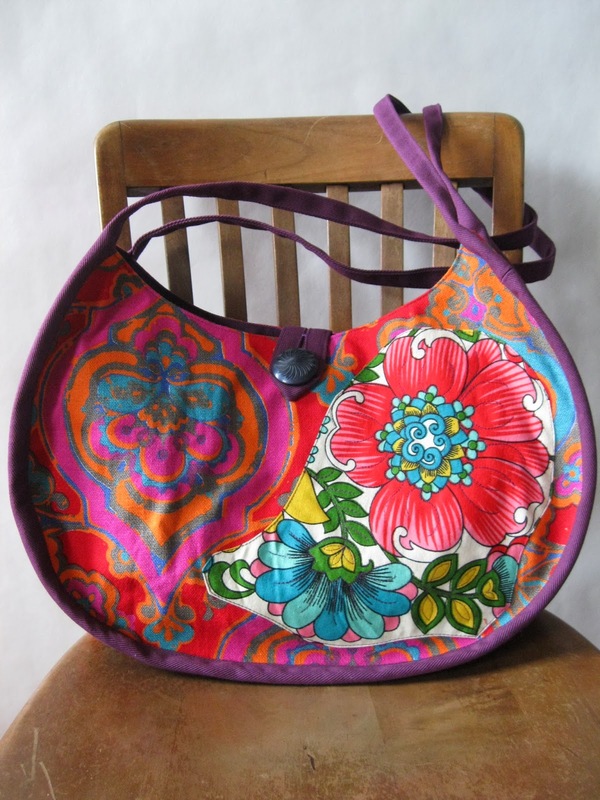 I’ll have oodles of new bags for you too, if you’re needing one.